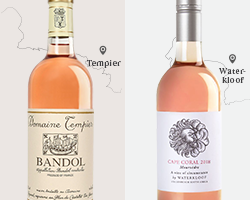 ‘This wine… is to all intents and purposes a great-value alternative to a dry, herby Bandol rosé.’ – Jancis Robinson on the 2014 Waterkloof Cape Coral Mourvèdre Rosé.Bandol, in the south of France, sets the benchmark for fine rosé and at the very apex of Bandol rosé production is Domaine Tempier. 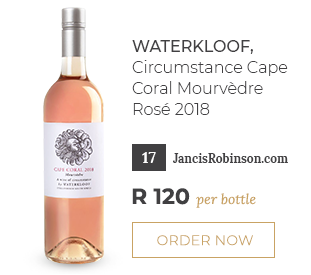 It is their Mourvèdre rosé that serves as the inspiration behind what we think is SA’s most accomplished rosé – the 2018 Waterkloof Circumstance Cape Coral Mourvèdre Rosé. 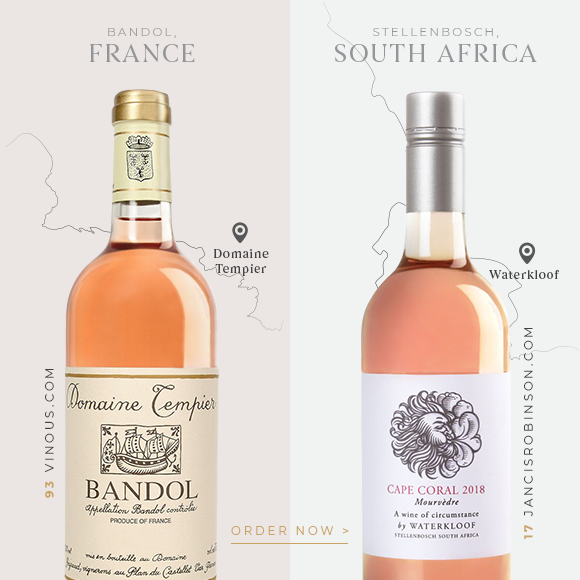 Besides both rosés being Mourvèdre-based, Domaine Tempier and Waterkloof also share a similar climate and situation albeit on opposite sides of the equator. 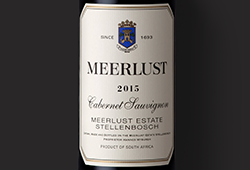 A step-up on the noteworthy 2015, the 2018 Waterkloof Cape Coral Mourvèdre Roséoffers a greater degree of complexity and the creamy, dry finish emulates the great rosés of Bandol. This is absolutely delicious stuff! 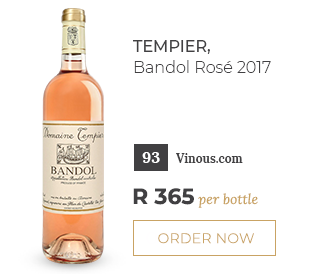 It’s a Wine Cellar favourite and good value to boot compared to the highly-regarded Tempier Bandol Rosé 2017. ‘The 1988 Tempier rosé was probably the finest pink wine I have ever drunk.’ – Jancis Robinson after tasting it in a vertical in 2015.The 2017 Tempier Bandol Rosé, on the other hand, is taut and youthful with typical florals, shy fruit, dried orange peel and delicate spice. The property lies in the heart of Bandol, on the Côte d’Azur, and dates back to the reign of Louis XV in 1715. It’s famous for producing one of the world’s finest rosés. 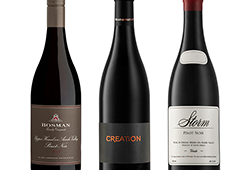 While the 2017 is deceptively youthful, these wines last for decades and are some of the greatest food wines. 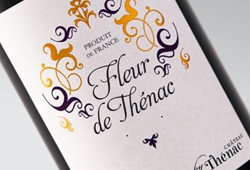 Its creamy texture and dry finish are the perfect match for complex seafood dishes like bouillabaisse. Limited stock available.